Design at the heart of our communities. What buildings and spaces define a thriving community? What do we look for when we choose a place to live, make friends and raise a family? Where do we live and learn and participate in civic life? 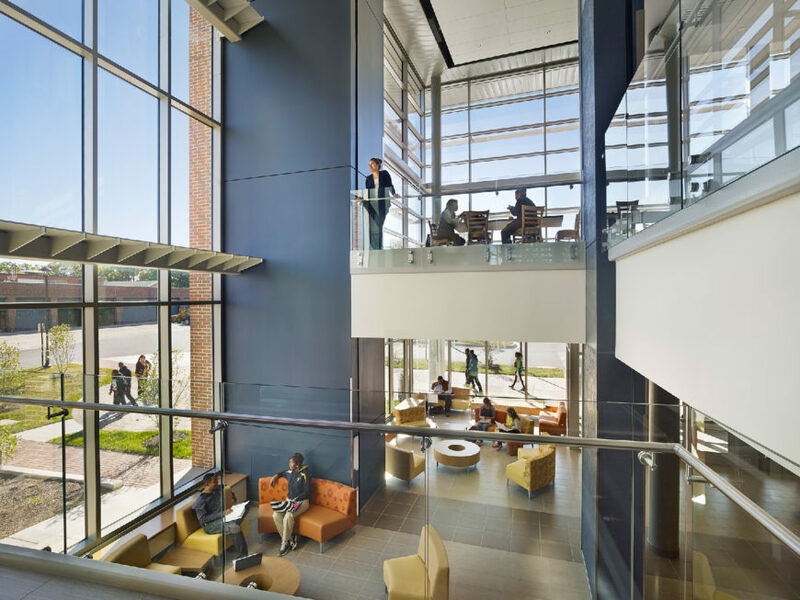 These are the places that define our architectural practice – in the public realm with a refined expertise in K-12; Higher Education; Libraries; Civic + Cultural + Performing Arts; Recreation + Wellness; and Residential + Mixed Use. When the only constant is change, we help our clients decide what to do next – how to plan for the future and invest resources wisely for their communities. We start with the big questions – on demographics, budgets and site selection, working together to develop solutions and explore options. We expect to make a difference in people’s lives through design excellence – honoring a public trust to deliver value, meaning and beauty to every project opportunity.